The new distribution center, which is 181,000 sq. ft., replaced a regional parts depot in Toronto. Volvo Construction Equipment (Volvo CE) has opened a new parts distribution center in Toronto, Canada, to better serve its customers in the country. The new facility is part of the company's strategy to ensure the highest uptime in the industry, as it cuts delivery time and enables dealers to restock both common and business-critical components much faster. The Canadian distribution center increases Volvo CE's distribution footprint and reinforces the company's best-in-class customer experience initiative. With the new center, Volvo CE will be able to deliver critical parts the next day after an order is placed to dealers in most major markets across Canada. 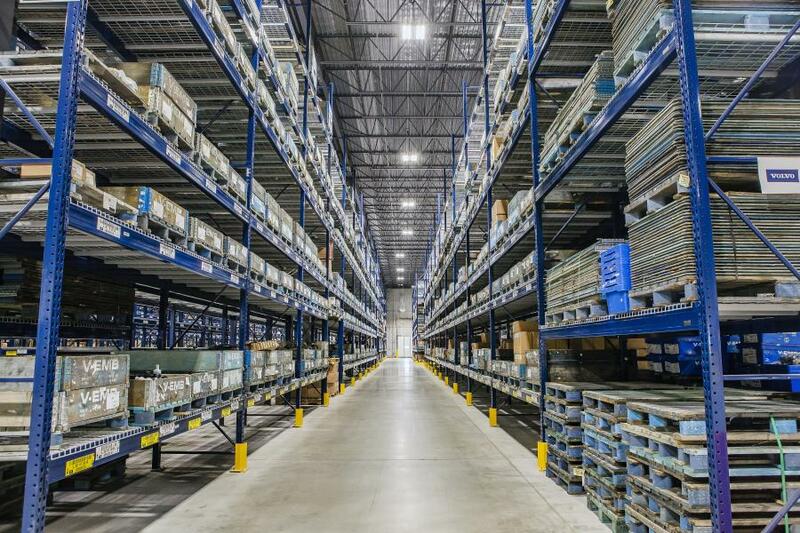 "We're very excited with the opening of this modern, efficient parts distribution center, which is part of our strategy to improve uptime not only in Canada, but across North America," said Stephen Roy, president of Volvo CE Americas. "It shows Volvo CE's commitment to provide our customers with premium machines and premium aftersales services." "This Canadian parts distribution facility gives our Strongcocustomers improved access to critical Volvo OEM parts inventory on this side of the border," said Oliver Nachevski, vice president and COO of Strongco, a Volvo CE Canadian dealer. "This is a very exciting initiative, as both Strongco and our customers will benefit from enhanced parts availability, which enables us to offer next day express delivery capabilities." Volvo CE is making impactful strides to help deliver industry-best parts service to its customers. In 2015, the company opened a 1 million sq. ft. distribution center in Byhalia, Miss., in addition to other parts distribution centers in Columbus, Ohio, and in Reno, Nevada. The new distribution center, which is 181,000 sq. ft., replaced a regional parts depot in Toronto. Volvo Group Service Market Logistics operates the new parts distribution center, which will not only provide parts for Volvo CE dealers, but also for Volvo's other business areas, such as Volvo Trucks. For more information, visit www.volvo.com.